Some people are just naturally motivated, ready to take on the world and any task standing in between them and their goal, then there’s the rest of us. If you find yourself procrastinating more often than not, then it’s time to start making some changes. Below, we’ve outlined some simple things you can start doing today to help you out! Break it down: Yeah, that project looks huge and time consuming, but if you can break it down into manageable chunks you’ll find yourself more motivated to finish the smaller assignments. Sure, you’ll have to motivate yourself enough to break it down, but once you do that, that four hour project can become eight 30 minute projects, and that is a lot less daunting. Hold yourself accountable: This one will take time. You have to change your mindset to really hold yourself accountable. 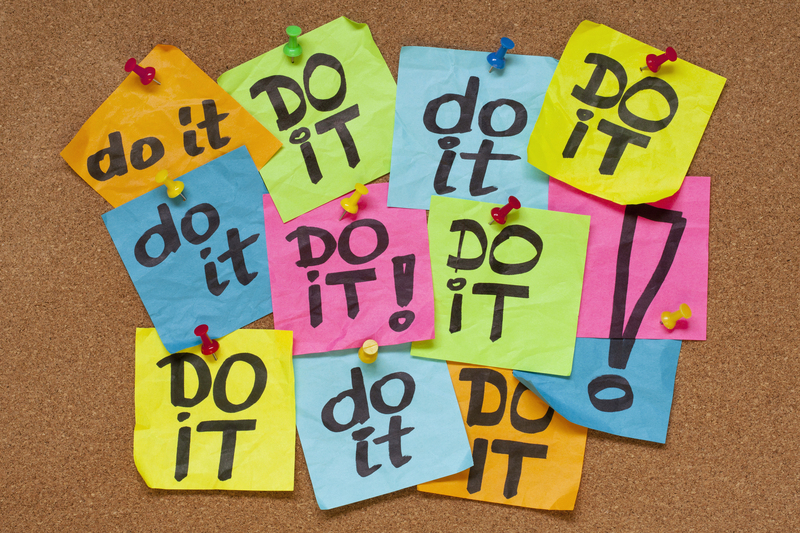 Don’t beat yourself up over your procrastination, but start working on holding yourself accountable for your actions. To-do lists and phone reminders are great ways to remind yourself that it’s time to get things done and is the first step to holding yourself accountable. You have to show up: One of the hardest things to do, especially when not required, is finding excuses to not show up. Whether that means the gym or simply your laptop, half the battle is simply getting there. Much like the gym, once you’re settled at your desk you’ll find that getting your work done isn’t nearly as bad as you thought it would be. Self awareness is key: One thing many successful people are able to do is identify problems within themselves. Being self aware allows you to see your faults and in many cases, get to the root of your procrastination issues. Whether it is social media, a lack of confidence, or simply feeling bored, being able to pinpoint the issue will give you a jump start on fixing the issue. Procrastination plagues almost everybody, do not look down on yourself simply because you have a bad habit of putting things off to the last minute. Instead, use your new found self awareness to start addressing the issues and hold yourself accountable for your actions. Good luck out there!